In an assisted living apartment, it’s important to have furnishings that are both familiar and comfortable. That doesn’t mean you have to sacrifice style. 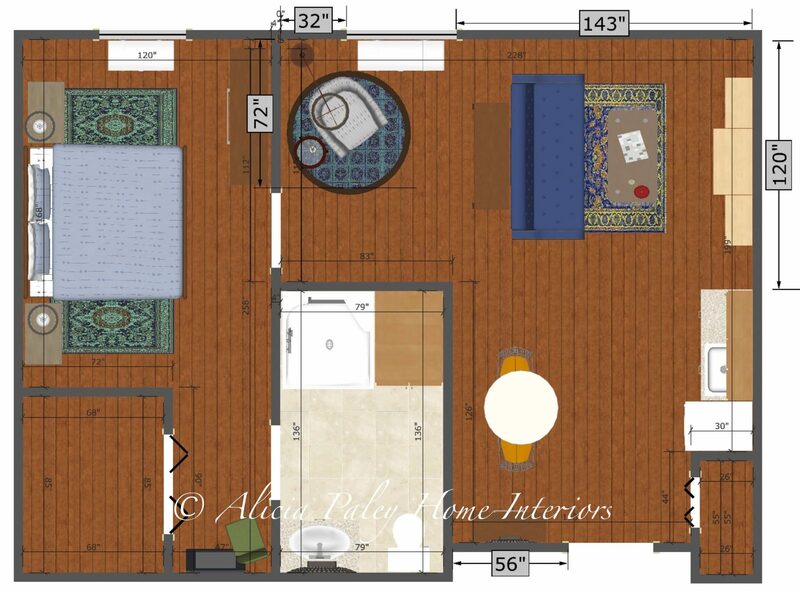 This apartment was furnished for a couple that loves Mid-Century Modern. 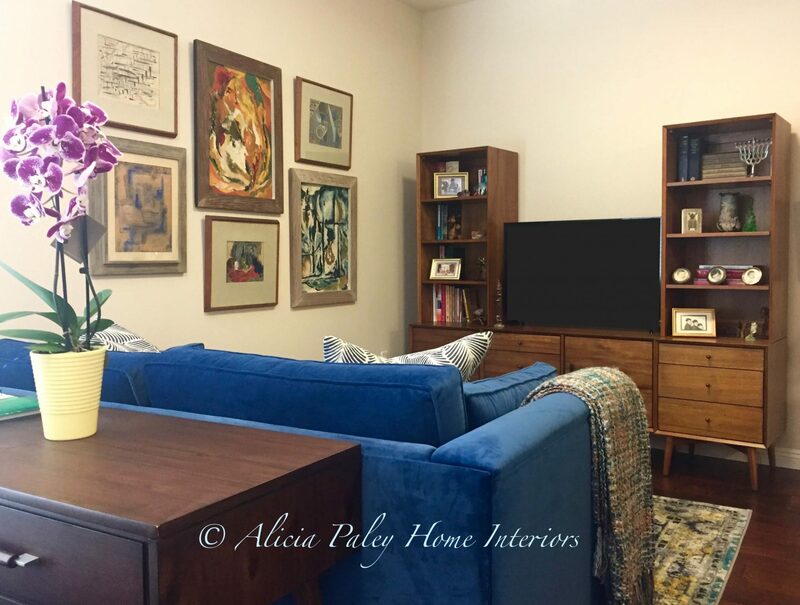 Although they had a house full of authentic mid-century pieces, they were not able to move those pieces across the country when they downsized and relocated, so I created an environment in the style they love, using pieces that were more appropriate for the scale of their new home. The result is a place that feels both fresh and familiar at the same time. 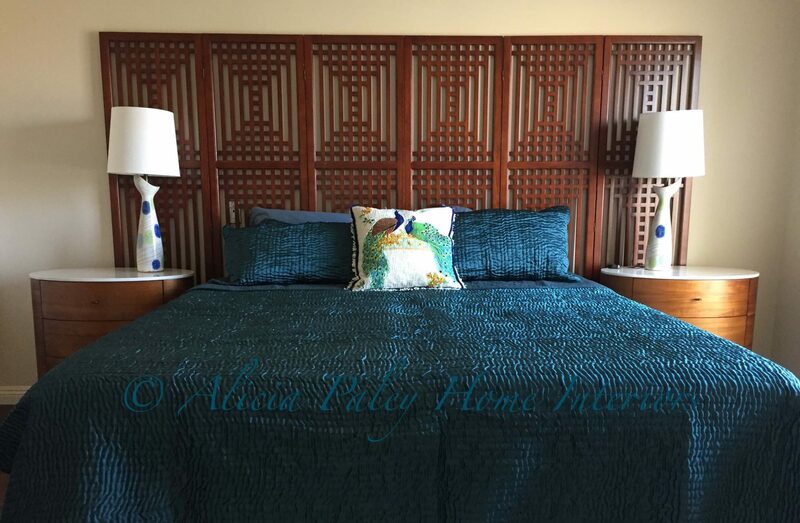 Small items such as the bedroom lamps, entry sunburst mirror, and the client’s own original artwork were incorporated into the space. Environmentally friendly materials used in this project include, FSC-certified wood furniture, GreenGuard area rugs, environmentally friendly upholstery and Ultra-Guard protectant. Wow! I can’t believe how much you’ve done for us. We love everything!